The White Wedding singer goes on tour! 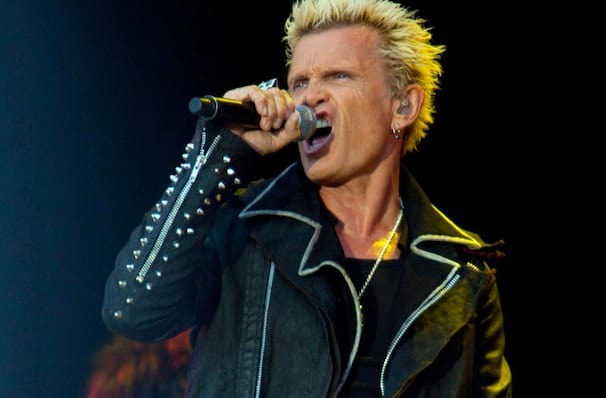 Billy Idol waited for nearly a decade to record a new album. The writing of his autobiography triggered a new sense of urgency in him and the result is Kings & Queens of the Underground. As idol himself told Billboard,"it's my life put into words." He'll be taking his whiplash smile across the States, where you can expect to hear new material and the classic tracks which made him one of the 80's biggest names. A former punk rocker, The British-born Idol was one of the artists to rise to prominence on MTV. His iconic video for White Wedding became a staple of the channel in the early 1980s, and he followed it up with hit singles Rebel Yell and Eyes Without a Face. With his peroxide blonde hair and Gothic attire, he was one of the most instantly recognisable figures of the so-called Second British Invasion, a group of synth and new wave bands who came to dominate the American charts for much of the decade. Sound good to you? 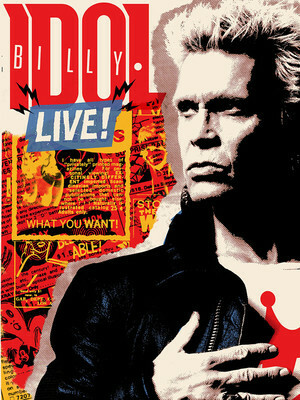 Share this page on social media and let your friends know about Billy Idol at Firekeepers Casino. Please note: The term Firekeepers Casino and/or Billy Idol as well as all associated graphics, logos, and/or other trademarks, tradenames or copyrights are the property of the Firekeepers Casino and/or Billy Idol and are used herein for factual descriptive purposes only. 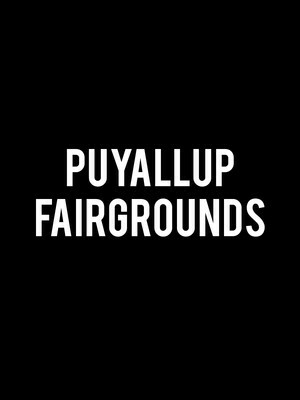 We are in no way associated with or authorized by the Firekeepers Casino and/or Billy Idol and neither that entity nor any of its affiliates have licensed or endorsed us to sell tickets, goods and or services in conjunction with their events.